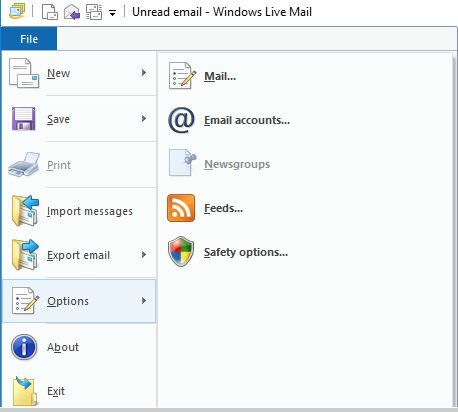 Setting up your windows live mail program for your mail account requires just a few simple steps. Start windows live mail. Select "File" from the menu, then "options", then "Email accounts". Enter your email address, password, and name as you wish it to be seen on email you send to others, then click on "Next". 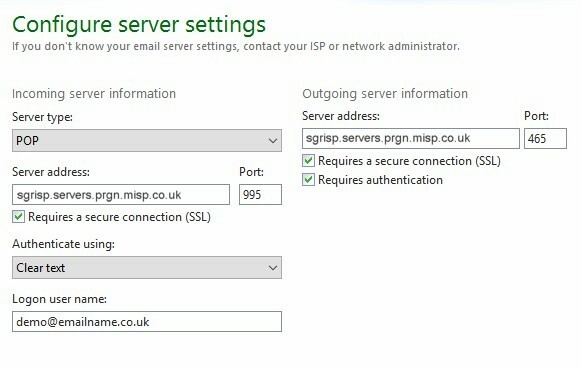 Enter "sgrisp.servers.prgn.misp.co.uk" in each of the two mailserver boxes, tick both boxes that say requires SSL, tick the box that says requires authentication, make sure port numbers are 995 in the incoming (left) side, and 465 in the outgoing (right) side, and enter your email addres in the username box, then click on "Next". 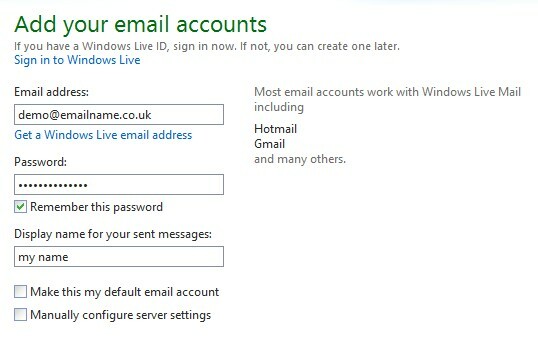 You have now completed the email account setup in windows live mail, so click "Finish". 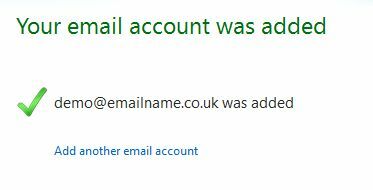 The internet accounts window returns, with your new email account appearing in the list. 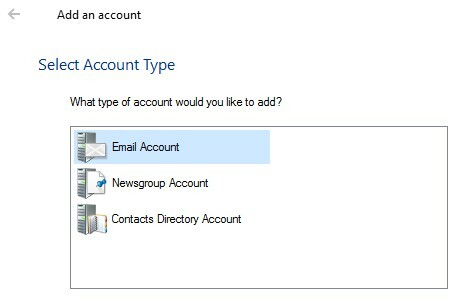 If you have just one email account in the list, you do not need to set a default. 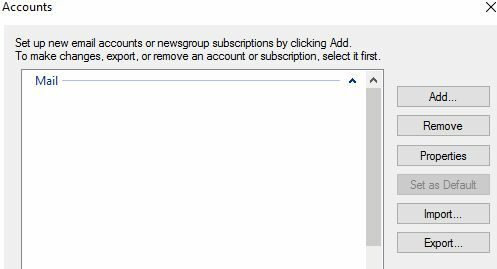 If you have previously had other mail accounts in the list, these will appear here as well, in this case click on the new mail account in the list, and click on the "Set as Default" button. Finally click "Close" on the Accounts window. You are now ready to send and receive email through your new email account. It can take up to 24 hours for new domain names to propogate around the internet, so it is possible that the new email account will not work at first. Please be patient during this period.